All the code is stored in this parameter Block in the geoCodingParameter worksheet. a VizMap is a container object for all that follows. a Spot holds a single Google Map marker. There will be one of these for each unique SpotID in your input data. an Item is a single row of data. There will be on of these for each row in your input data. There can be multiple Items with the same SpotID. a map is a Google Map Object, this can also be a Google Earth Object depending on the provider. 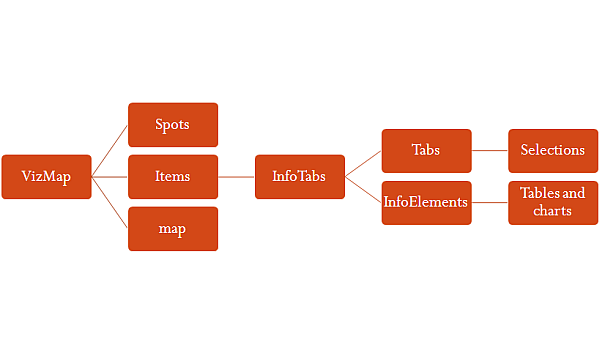 InfoTabs are a collection of tabs associated with each item. Each Item has a single collection.